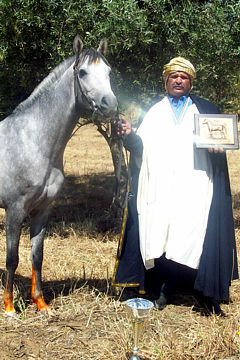 The Arab Horse Society have awarded their 2018 WAHO Trophy to the Premium Performance Sire Mukhtar Ibn Eternity, in recognition for his achievements as an exceptional ambassador to the breed. 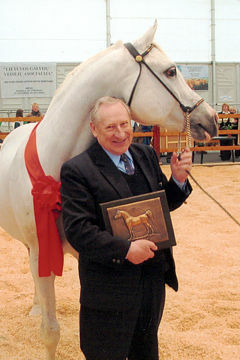 The Trophy was presented in a well received ceremony during the 2018 Arab Horse Society Centenary National Championships Show at Malvern. 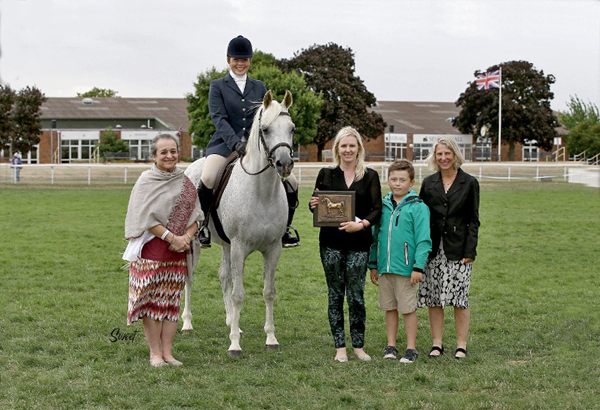 HRH Princess Alia Al Hussein presenting the WAHO Trophy to Mukhtar Ibn Eternity, ridden by Julia Fairbank, with his owner Sasha Melia, her son Seth, and WAHO Executive Committee Member Caroline Sussex. 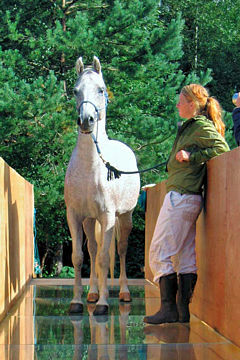 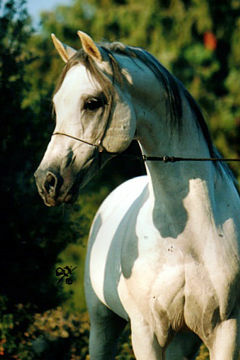 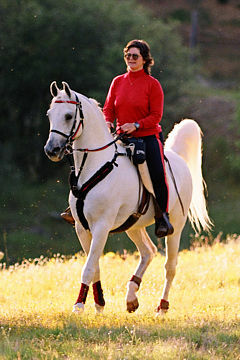 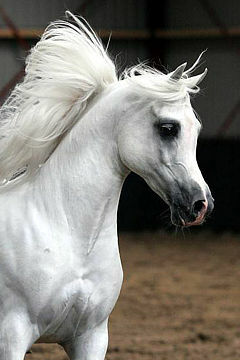 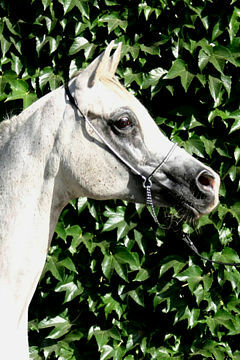 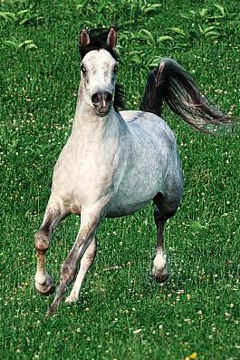 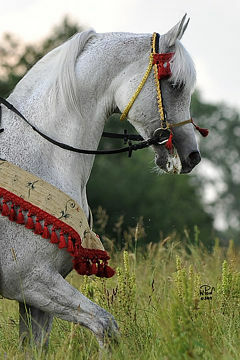 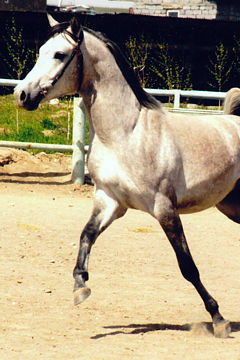 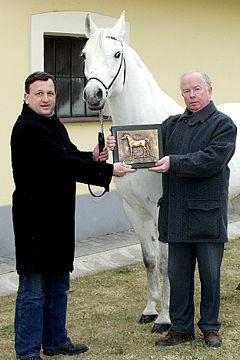 This charming and athletic grey stallion is a grand-son of Premium Merit Sire Djammal, his bloodlines are predominantly of the ‘Golden Cross’ mix of Egyptian and Spanish bloodlines, being by Double World and Platinum World Champion Eternity Ibn Navarrone-D out of the exceptional broodmare Monsoon, who is by Djammal out of Mahleika by Maleik El Kheil. 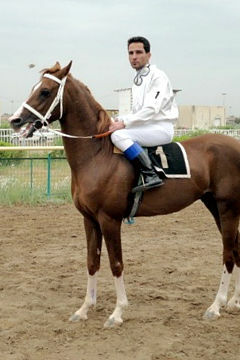 He traces in tail female line to the celebrated mare Nuhra, imported from Bahrain, so he is of the rare Kehailan Al Wadhnan Khursan strain. 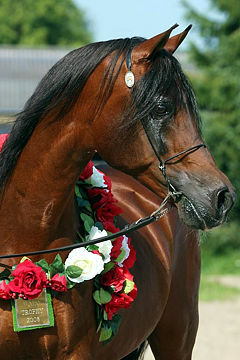 Bred by Hugh & Michelle Segre of Phoenix Arabians, he has been owned since he was a foal by Sasha Melia. 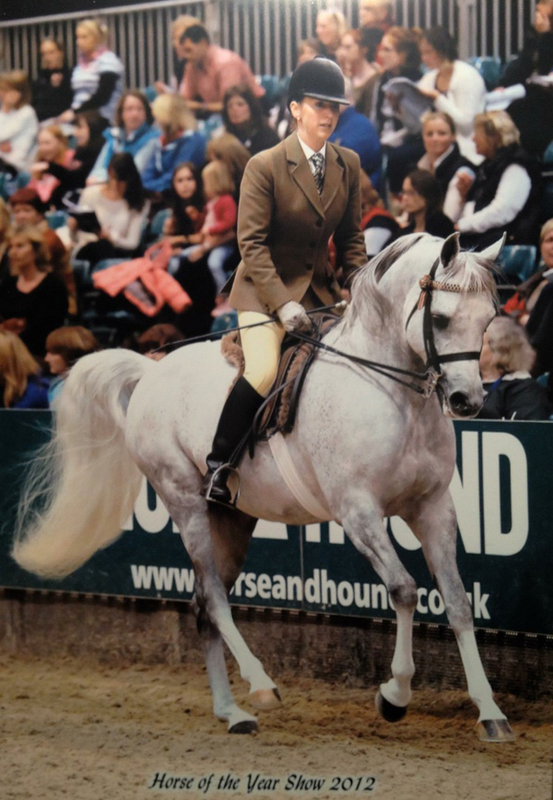 He was NaStA Performance Tested in 2015, and gained an ‘Elite’ score, but with the 10% deduction for horses over 10 years old he was awarded a Class 1 Grade. 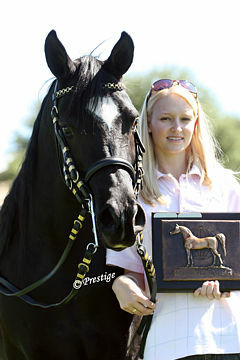 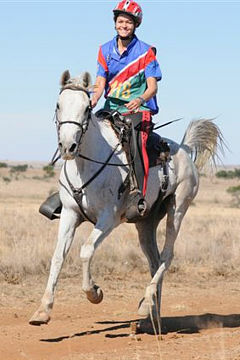 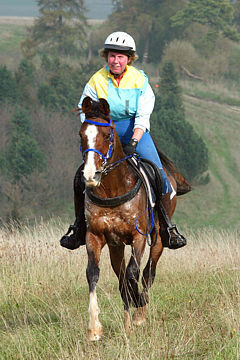 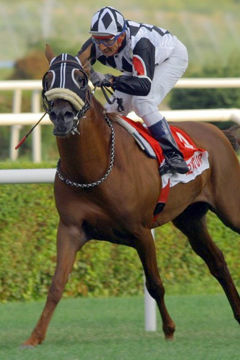 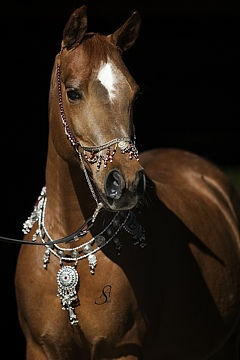 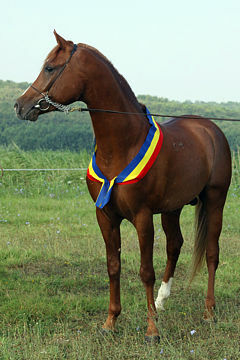 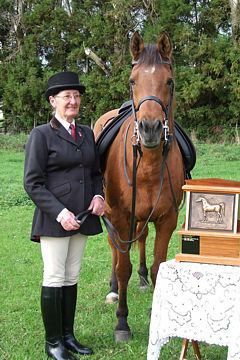 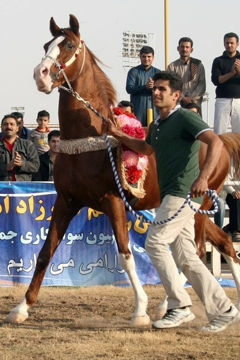 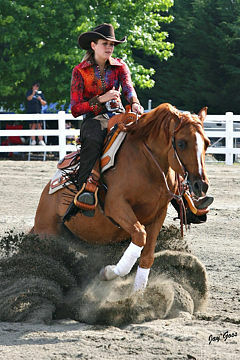 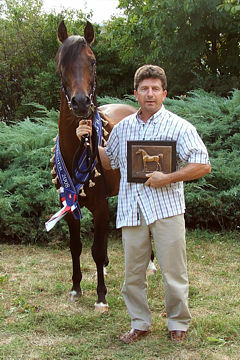 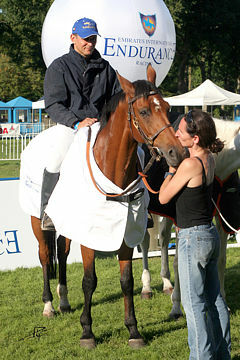 Mukhtar Ibn Eternity was a multi-champion show horse both in-hand as a youngster, and then as a ridden horse, where he was a Horse of the Year Show finalist three years running from 2010-2012. 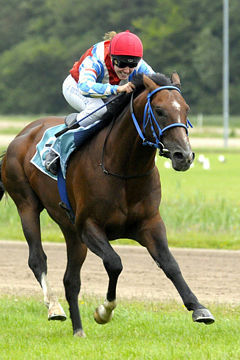 In 2014, after being leased to Dr Gudrun von Tevenar of Red House Stud, his first crop of foals were born. 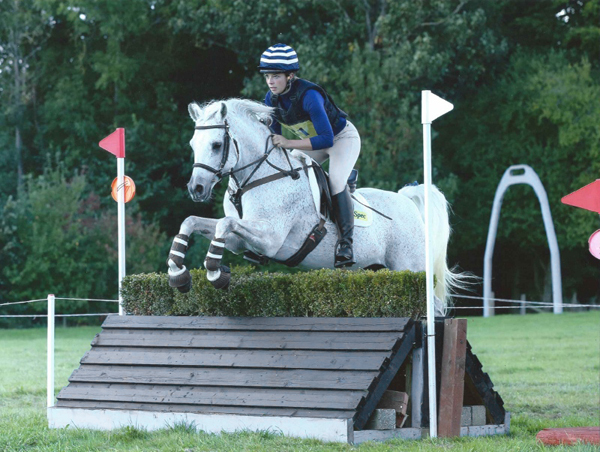 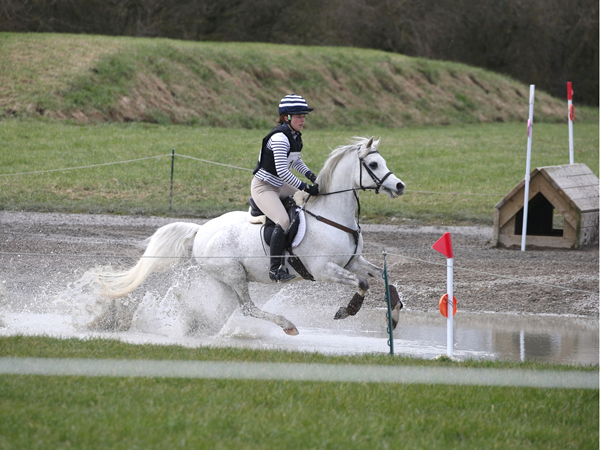 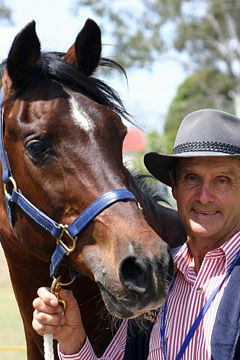 He then commenced a performance career with many wins and successes in eventing, hunter trials, showjumping, dressage, and many other combined disciplines, including competing in open BE horse Trials in 2017. 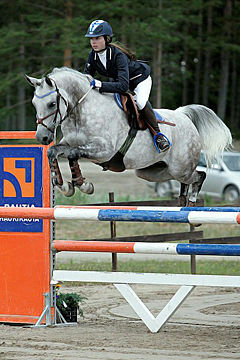 He qualified for the BE Arena Eventing Championships in 2016 and 2017, and the Trailblazers Showjumping Championships in 2017, being placed 3rd. 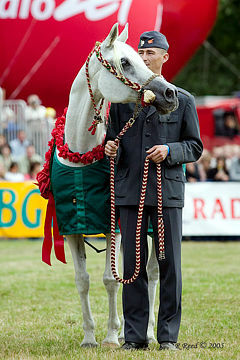 In 2016 and 2017 he represented the breed by taking part in the “All The Queens Horses Parade” as part of the huge London New Year’s Day Parade, which is televised worldwide. 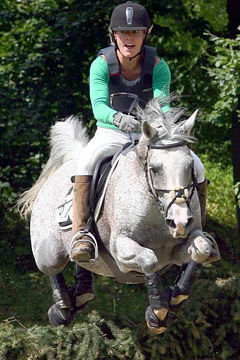 Moving forward, Mukhtar Ibn Eternity will continue to be aimed at eventing and showjumping alongside his stud duties, and will look forward to seeing his offspring becoming old enough to start their own ridden careers.